“Time is Money” said Benjamin Franklin in his book titled ‘Advice to a Young Tradesman’ back in the early 1900s. The phrase has stuck with us, especially within the business circles where every hour spent being unproductive is money lost. Time saving have always been at the top of our list ever since the industrial revolution. Machines came into existence to get more work done in less time making our lives more convenient. The dawn of the digital era saw a new dimension of convenience for the online user ranging from shopping for anything under the sun while sitting at home to finding their soulmate by simply swiping right on a smart phone screen. Apps have become an integral parts of our existence now. There is an app for every little thing you could do offline or online on any digital device. In spite of all that, business are still looking for means to improve their productivity by automating mundane and repetitive tasks. Consider the case where a startup business with not much work force needs to get all the email address from email inquiries to be copied to a spreadsheet. Instead of assigning this task to someone, its would save a lot of time if there was a means by which Gmail and Excel could communicate. Zapier performs exactly this. It is an API(Application Program Interface) that brings together over 1000 applications and provides a platform where these apps can talk to each other in order to perform customized functions. These automation functions are called ‘zaps’. It like zap! – and boom your emails are neatly copied into a spreadsheet document. Or you can save your email attachments to cloud in a jiffy skipping through the manual downloading and uploading process. There is no limit on the functionalities than can be carried out with the help of this versatile app. Zapier co-founder and CEO Wade Foster himself attests to this fact in his statement – “The only limit to what you are able to streamline with Zapier is your own imagination”. You don’t even have to rely on a programmer for your automations. Zapier is your very own DIY custom software development app. Automations or zaps as they are called, consists of Actions associated with Triggers that are present on the apps you want to integrate it with. In the above example of uploading attachments to cloud, the trigger is an attachment being received on Gmail and the action corresponding to it is uploading the file to Dropbox. Every few seconds, Zapier checks for triggers from your apps and promptly performs the desired action. Zap implementation is quite simple and it has become simpler with Pre-built Zaps which acts as a template based on which you can customize your zaps to perform various tasks. Zapier has put together a guide titled “Automation Inspiration: 300+ ways to use Zapier” with numerous industry tested tips and tricks that can automate your workflow. Social media monitoring by saving Twitter mentions to a spreadsheet. Maximize post reach by cross posting it across all social media handles such as pinning new Instagram posts on Pinterest. Transform email inbox into a task manager by creating Wunderlist tasks for new Office 365 emails. Organize project tasks by integrating Gmail with Basecamp for creating to-dos. Keep team members updated about the project progress by posting Basecamp activity to Slack. If you are an e-commerce business and want to keep track of the customer information, you can use the zap that adds new Shopify orders to Salesforce as leads. 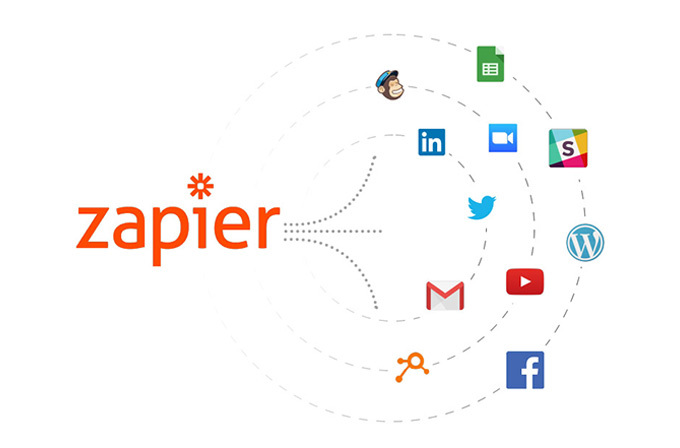 Zapier allows strategic integration between multiple apps and thereby improve the overall functionality of the existing apps. Why should you use Zapier for your business? Boosts productivity by streamlining workflows via automation so that you can concentrate on more important matters. A big save can be made on budget by eliminating the need for customized software development. Zapier offers various price plans in addition to a 14 day free trial. 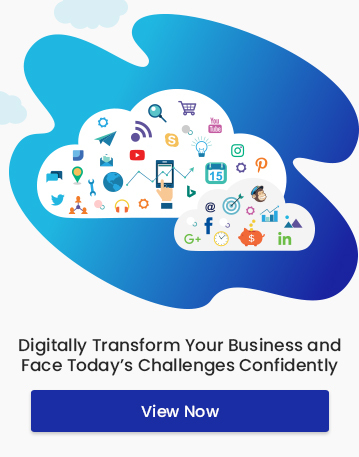 Taking into consideration the wide ranging functionality this app provides at standard prices, Zapier certainly gives a huge bang for your bucks!